Ratatouille (/ˌrætəˈtuːi/ RAT-ə-TOO-ee, French: [ʁatatuj]) is a 2007 American computer-animated comedy film produced by Pixar and released by Walt Disney Pictures. It is the eighth film produced by Pixar and was co-written and directed by Brad Bird, who took over from Jan Pinkava in 2005. The title refers to a French dish, "Ratatouille", which is served at the end of the film and is also a play on words about the species of the main character. 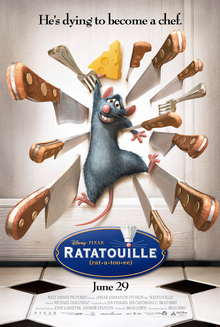 The film stars the voices of Patton Oswalt as Remy, an anthropomorphic rat who is interested in cooking; Lou Romano as Linguini, a young garbage boy who befriends Remy; Ian Holm as Skinner, the head chef of Auguste Gusteau's restaurant; Janeane Garofalo as Colette, a rôtisseur at Gusteau's restaurant; Peter O'Toole as Anton Ego, a restaurant critic; Brian Dennehy as Django, Remy's father and leader of his clan; Peter Sohn as Emile, Remy's older brother; and Brad Garrett as Auguste Gusteau, a recently deceased chef. The plot follows a rat named Remy, who dreams of becoming a chef and tries to achieve his goal by forming an alliance with a Parisian restaurant's garbage boy. Development of Ratatouille began in 2000 when Pinkava wrote the original concepts of the film. In 2005, Bird was approached to direct the film and revise the story. Bird and some of the film's crew members also visited Paris for inspiration. To create the food animation used in the film, the crew consulted chefs from both France and the United States. Bird also interned at Thomas Keller's The French Laundry restaurant, where Keller developed the confit byaldi, a dish used in the film. Ratatouille premiered on June 22, 2007, at the Kodak Theatre in Los Angeles, California, with its general release June 29, 2007, in the United States. The film grossed $620.7 million at the box office and received critical acclaim. The film won the Academy Award for Best Animated Feature, and was later voted one of the 100 greatest motion pictures of the 21st century by a 2016 poll of international critics conducted by BBC. Remy is an idealistic and ambitious young blue rat with highly developed senses of taste and smell who dreams of becoming a chef like his idol, the recently deceased Auguste Gusteau. When his family are forced to flee their home, he becomes separated from them and eventually finds himself at a skylight overlooking the kitchen of Gusteau's restaurant in Paris. Remy discovers that he can control Linguini's movements by pulling his hair. This file has been proposed for deletion and may be deleted after Thursday, 2 May 2019. View file page to object. He sees garbage boy Alfredo Linguini accidentally spill a pot of soup and unsuccessfully attempt to recreate it. Remy sees that he is ruining it and fixes his mistakes, which Linguini witnesses. Skinner, Gusteau's former sous-chef and new owner, confronts Linguini for tampering with the soup, but while they argue the soup is accidentally served and proves to be a success. Skinner retains Linguini who is assumed to be the soup's creator, and orders him to kill the rat. Instead, Linguini hides Remy under his toque where Remy guides Linguini like a marionette by pulling on his hair. Skinner assigns the female chef Colette to train his new cook. Skinner and Remy learn that Linguini is Gusteau's illegitimate son and the rightful owner of the restaurant. Remy gives the evidence to Linguini, forcing Skinner to step down as owner. The restaurant thrives, Remy's recipes become popular, and a romance develops between Linguini and Colette, the latter of which causes Remy to feel left out. He visits his clan in their new lair but he and his father Django fall out over his admiration for humans and Remy leaves. World-renowned food critic Anton Ego, whose negative review precipitated Gusteau's death, announces he will dine at the restaurant. After getting into an heated argument with Linguini, Remy leads his clan to raid the restaurant's pantries in revenge, but Linguini drives them out. Remy is then captured by Skinner, but freed by Django and his brother Emile. Linguini apologizes to Remy, having been unable to cook without him, and reveals the truth to the staff who leave in disgust. Colette returns, recalling Gusteau's motto, "Anyone can cook." Impressed by Remy's determination, Django and the clan offer to help. The rats cook while Linguini waits tables. Remy creates a ratatouille variation, confit byaldi, which reminds Ego of his mother's cooking. The rats tie up Skinner and a health inspector to prevent them from revealing that rats are cooking, and when Ego requests to see the chef, Linguini and Colette make him wait until the other diners have left before introducing Remy. Ego is stunned and writes a glowing review, saying he now truly understands Gusteau's famous motto and calling Remy "nothing less than the finest chef in France." However, Gusteau's is permanently closed due to the presence of rats violating health regulations, since Skinner and the health inspector were forced to be released, and Ego loses his job and his credibility as a critic. He then finds a new job as a small business investor and funds and frequents a popular new bistro, La Ratatouille, created and run by Remy, Linguini, and Colette, and the rats settle into their new home on the bistro's roof. Patton Oswalt as Remy, a rat with heightened senses of taste and smell, enabling a talent and desire for cooking. Director Brad Bird chose Oswalt after hearing his food-related comedy routine. Ian Holm as Chef Skinner, a diminutive chef and owner of Auguste Gusteau's restaurant. Since Gusteau's death, Skinner has used the Gusteau name to market a line of cheap microwaveable meals. Skinner's behavior, diminutive size, and body language are loosely based on Louis de Funès. Lou Romano as Alfredo Linguini, the son of Auguste Gusteau and Renata Linguini. Brad Garrett as Auguste Gusteau (whose first and last names are anagrams of each other). Many reviewers believe that Gusteau is inspired by real-life chef Bernard Loiseau, who committed suicide after media speculation that his flagship restaurant, La Côte d'Or, was going to be downgraded from three Michelin stars to two. La Côte d'Or was one of the restaurants visited by Brad Bird and others in France. Janeane Garofalo as Colette Tatou, Gusteau's chef de partie, inspired by French chef Hélène Darroze. Brian Dennehy as Django, Remy and Emile's father, and the leader of the rats. Peter O'Toole as Anton Ego, a restaurant critic. His appearance was modeled after Louis Jouvet. Peter Sohn as Emile, Remy's gluttonous older brother. Will Arnett as Horst, Skinner's German sous chef. Julius Callahan as Lalo, Gusteau's saucier and poissonnier. Callahan also voices François, the advertising executive handling the marketing of Gusteau's microwaveable products. James Remar as Larousse, Gusteau's garde manger. John Ratzenberger as Mustafa, Gusteau's chef de salle. Teddy Newton as Talon Labarthe, Skinner's lawyer. Tony Fucile as Pompidou, Gusteau's patissier. Fucile also voices Nadar Lessard, a health inspector employed by Skinner. Jake Steinfeld as Git, a former lab rat and member of Django's colony. Brad Bird as Ambrister Minion, Anton Ego's butler. Stéphane Roux as the narrator of the cooking channel. Thomas Keller as a dining patron who asks "what's new". Jan Pinkava came up with the concept in 2000, creating the original design, sets and characters and core storyline, but he was never formally named the director of the film. By 2004, Pixar added Bob Peterson as a co-director and was given exclusive control of the story. Lacking confidence in the story development, Pixar management replaced Pinkava with Bird in 2005 while Peterson left the film to work on Up. Bird was attracted to the film because of the outlandishness of the concept and the conflict that drove it: that rats feared kitchens, yet a rat wanted to work in one. Bird was also delighted that the film could be made a highly physical comedy, with the character of Linguini providing endless fun for the animators. Bird rewrote the story, with a change in emphasis. He killed off Gusteau, gave larger roles to Skinner and Colette, and also changed the appearance of the rats to be less anthropomorphic. Because Ratatouille is intended to be a romantic, lush vision of Paris, giving it an identity distinct from previous Pixar films, director Brad Bird, producer Brad Lewis and some of the crew spent a week in the city to properly understand its environment, taking a motorcycle tour and eating at five top restaurants. There are also many water-based sequences in the film, one of which is set in the sewers and is more complex than the blue whale scene in Finding Nemo. One scene has Linguini wet after jumping into the Seine to fetch Remy. A Pixar employee (Shade/Paint department coordinator Kesten Migdal) jumped into Pixar's swimming pool wearing a chef's uniform and apron to see which parts of the suit stuck to his body and which became translucent from water absorption. The film's take on the traditional ratatouille dish was designed by gourmet chef Thomas Keller and later came to be known as confit byaldi. A challenge for the filmmakers was creating computer-generated images of food that would appear delicious. Gourmet chefs in both the U.S. and France were consulted and animators attended cooking classes at San Francisco-area culinary schools to understand the workings of a commercial kitchen. Sets/Layout department manager Michael Warch, a culinary-academy-trained professional chef before working at Pixar, helped teach and consult animators as they worked. He also prepared dishes used by the Art, Shade/Paint, Effects and Sets Modeling departments. Renowned chef Thomas Keller allowed producer Brad Lewis to intern in his French Laundry kitchen. 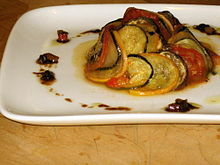 For the film's climax, Keller designed a fancy, layered version of the title dish for the rat characters to cook, which he called "confit byaldi" in honor of the original Turkish name. The same sub-surface light scattering technique that was used on skin in The Incredibles was used on fruits and vegetables, while new programs gave an organic texture and movement to the food. Completing the illusion were music, dialogue, and abstract imagery representing the characters' mental sensations while appreciating food. The visual flavor metaphors were created by animator Michel Gagné inspired by the work of Oscar Fischinger and Norman McLaren. To create a realistic compost pile, the Art Department photographed fifteen different kinds of produce, such as apples, berries, bananas, mushrooms, oranges, broccoli, and lettuce, in the process of rotting. According to Pixar designer Jason Deamer, "Most of the characters were designed while Jan [Pinkava] was still directing… He has a real eye for sculpture." For example, according to Pinkava, the critic Anton Ego was designed to resemble a vulture. Rat expert Debbie Ducommun (a.k.a. the "Rat Lady") was consulted on rat habits and characteristics. A vivarium containing pet rats sat in a hallway for more than a year so animators could study the movement of the animals' fur, noses, ears, paws, and tails as they ran. The cast members strove to make their French accents authentic yet understandable. John Ratzenberger notes that he often segued into an Italian accent. To save time, human characters were designed and animated without toes. Promotional material for Intel credits their platform for a 30 percent performance improvement in rendering software. They used Remy in some of their marketing materials. Brad Bird reteamed with Michael Giacchino on the score for Ratatouille since they got along well during the scoring of The Incredibles. Giacchino had written two themes for Remy, one about his thief self and the other about his hopes and dreams. He also wrote a buddy theme for both Remy and Linguini that plays when they're together. In addition to the score, Giacchino wrote the main theme song, "Le Festin", about Remy and his wishes to be a chef. Camille was hired to perform "Le Festin" after Giacchino listened to her music and realized she was perfect for the song; as a result, the song is sung in French in all versions of the film. The music for Ratatouille gave Giacchino his first Academy Award nomination for Best Original Score as well as his first Grammy Award for Best Score Soundtrack Album. 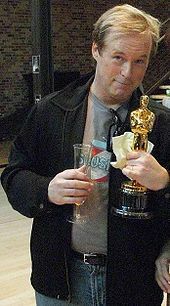 Giacchino returned to Pixar to score their 2009 blockbuster Up. Ratatouille was originally going to be released in 2006; however, in December 2004, the date was changed to 2007. This happened because Disney/Pixar changed the release date of Cars, from November 2005 to June 2006, thus pushing Ratatouille to 2007. Ratatouille's world premiere was on June 22, 2007, at Los Angeles' Kodak Theater. The commercial release was one week later, with the short film Lifted preceding Ratatouille in theaters. Earlier in the year, it had received an Academy Award nomination. A test screening of the film was shown at the Harkins Cine Capri Theater in Scottsdale, Arizona on June 16, 2007, at which a Pixar representative was present to collect viewer feedback. Disney CEO Bob Iger announced an upcoming theatrical re-release of the film in 3D at the Disney shareholders meeting in March 2014. The trailer for Ratatouille debuted with the release of its immediate predecessor, Cars. It depicts an original scene where Remy is caught on the cheese trolley in the restaurant's dining area sampling the cheese and barely escaping the establishment, intercut with separate scenes of the rat explaining directly to the audience why he is taking such risks. Similar to most of Pixar's teaser trailers, the scene was not present in the final film release. A second trailer was released on March 23, 2007. The Ratatouille Big Cheese Tour began on May 11, 2007, with cooking demonstrations and a film preview. Voice actor Lou Romano attended the San Francisco leg of the tour for autograph signings. 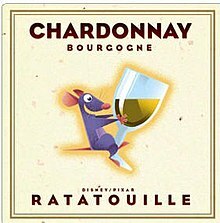 Disney and Pixar were working to bring a French-produced Ratatouille-branded wine to Costco stores in August 2007, but abandoned plans because of complaints from the California Wine Institute, citing standards in labeling that restrict the use of cartoon characters to avoid attracting under-age drinkers. In the United Kingdom, in place of releasing a theatrical trailer, a theatrical commercial featuring Remy and Emile was released in cinemas before its release to discourage obtaining unlicensed copies of films. Also in the United Kingdom, the main characters were used for a theatrical commercial for the Nissan Note, with Remy and Emile watching an original commercial for it made for the "Surprisingly Spacious" ad campaign and also parodying it, respectively. Disney/Pixar was concerned that audiences, particularly children, would not be familiar with the word "ratatouille" and its pronunciation. The title was therefore also spelled phonetically within trailers and on posters. For similar reasons, in the American release of the film, on-screen text in French was printed in English, such as the title of Gusteau's cookbook and the sign telling kitchen staff to wash their hands, though in the British English release, these are rendered in French. In Canada, the film was released theatrically with text in English, but on DVD, the majority of the text (including Gusteau's will) was in French. Disney released Ratatouille on high-definition Blu-ray Disc and DVD in North America on November 6, 2007. A new animated short film featuring Remy and Emile entitled Your Friend the Rat was included as a special feature, in which the two rats attempt to entreat the viewer, a human, to welcome rats as their friends, demonstrating the benefits and misconceptions of rats towards humanity through several historical examples. The eleven-minute short uses 3D animation, 2D animation, live action and even stop-motion animation, a first for Pixar. The disc also includes a CG short entitled Lifted, which screened before the film during its theatrical run. It depicts an adolescent extraterrestrial attempting to abduct a sleeping human. Throughout the sequence, he is graded by an adult extraterrestrial in a manner reminiscent of a driver's licensing exam road test. The entire short contains no dialogue, which is typical of Pixar Shorts not based on existing properties. Also included among the special features are deleted scenes, a featurette featuring Brad Bird discussing filmmaking and chef Thomas Keller discussing culinary creativity entitled "Fine Food and Film", and four easter eggs. Although the Region 1 Blu-ray edition has a French audio track, the Region 1 DVD does not, except for some copies marked as for sale only in Canada. It was released on DVD on November 6, 2007, and earned 4,919,574 units (equivalent to US$73,744,414) on its first week (November 6–11, 2007) during which it topped the DVD charts. In total it sold 12,531,266 units (US$189,212,532) becoming the second-best-selling animated DVD of 2007, both in units sold and sales revenue, behind Happy Feet. The review aggregator website Rotten Tomatoes reported a 96% approval rating with an average rating of 8.5/10 based on 246 reviews. The site's consensus reads: "Fast-paced and stunningly animated, Ratatouille adds another delightfully entertaining entry—and a rather unlikely hero—to the Pixar canon." Metacritic, another review aggregator website which assigns a normalized rating out of 100 top reviews from mainstream critics, calculated a score of 96 out of 100 based on 37 reviews, the highest of any Pixar film and the twenty-first highest rated film on the site. A. O. Scott of The New York Times called Ratatouille "a nearly flawless piece of popular art, as well as one of the most persuasive portraits of an artist ever committed to film"; echoing the character Anton Ego in the film, he ended his review with a simple "thank you" to the creators of the film. Wally Hammond of Time Out gave the film five out of five stars, saying "A test for tiny tots, a mite nostalgic and as male-dominated as a modern kitchen it may be, but these are mere quibbles about this delightful addition to the Pixar pantheon." Andrea Gronvall of the Chicago Reader gave the film a positive review, saying "Brad Bird's second collaboration with Pixar is more ambitious and meditative than his Oscar-winning The Incredibles." Owen Gleiberman of Entertainment Weekly gave the film a B, saying "Ratatouille has the Pixar technical magic without, somehow, the full Pixar flavor. It's Brad Bird's genial dessert, not so much incredible as merely sweetly edible." Peter Travers of Rolling Stone gave the film three-and-a-half stars out of four, saying "What makes Ratatouille such a hilarious and heartfelt wonder is the way Bird contrives to let it sneak up on you. And get a load of that score from Michael Giacchino, a perfect compliment to a delicious meal." James Berardinelli of ReelViews gave the film three out of four stars, saying "For parents looking to spend time in a theater with their kids or adults who want something lighter and less testosterone-oriented than the usual summer fare, Ratatouille offers a savory main course." Christy Lemire of the Associated Press gave the film a positive review, saying "Ratatouille is free of the kind of gratuitous pop-culture references that plague so many movies of the genre; it tells a story, it's very much of our world but it never goes for the cheap, easy gag." Justin Chang of Variety gave the film a positive review, saying "The master chefs at Pixar have blended all the right ingredients—abundant verbal and visual wit, genius slapstick timing, a soupcon of Gallic sophistication—to produce a warm and irresistible concoction." Michael Phillips of the Chicago Tribune gave the film four out of four stars, saying "The film may be animated, and largely taken up with rats, but its pulse is gratifyingly human. And you have never seen a computer-animated feature with this sort of visual panache and detail." Rafer Guzman of Newsday gave the film three out of four stars, saying "So many computer-animated movies are brash, loud and popping with pop-culture comedy, but Ratatouille has the warm glow of a favorite book. The characters are more than the sum of their gigabyte-consuming parts – they feel handcrafted." Roger Moore of the Orlando Sentinel gave the film three out of five stars, saying "Has Pixar lost its magic recipe? Ratatouille is filled with fairly generic animated imagery, a few modest chases, a couple of good gags, not a lot of laughs." Scott Foundas of LA Weekly gave the film a positive review, saying "Bird has taken the raw ingredients of an anthropomorphic-animal kiddie matinee and whipped them into a heady brew about nothing less than the principles of artistic creation." Colin Covert of the Star Tribune gave the film four out of four stars, saying "It's not just the computer animation that is vibrantly three-dimensional. It's also the well-rounded characters… I defy you to name another animated film so overflowing with superfluous beauty." Steven Rea of The Philadelphia Inquirer gave the film three-and-a-half stars out of four, saying "With Ratatouille, Bird once again delivers not just a great, witty story, but dazzling visuals as well." Bill Muller of The Arizona Republic gave the film four-and-a-half stars out of five, saying "Like the burbling soup that plays a key part in Ratatouille, the movie is a delectable blend of ingredients that tickles the palette and leaves you hungry for more." Rene Rodriguez of the Miami Herald gave the film three out of four stars, saying "Ratatouille is the most straightforward and formulaic picture to date from Pixar Animation Studios, but it is also among the most enchanting and touching." Jack Mathews of the New York Daily News gave the film four out of four stars, saying "The Pixar magic continues with Brad Bird's Ratatouille, a gorgeous, wonderfully inventive computer-animated comedy." Stephen Whitty of the Newark Star-Ledger gave the film three out of four stars, saying "Fresh family fun. Although there are those slightly noxious images of rodents scampering around a kitchen, the movie doesn't stoop to kid-pandering jokes based on back talk and bodily gases." David Ansen of Newsweek gave the film a positive review, saying "A film as rich as a sauce béarnaise, as refreshing as a raspberry sorbet, and a lot less predictable than the damn food metaphors and adjectives all us critics will churn out to describe it. OK, one more and then I'll be done: it's yummy." Peter Hartlaub of the San Francisco Chronicle gave the film four out of four stars, saying "Ratatouille never overwhelms, even though it's stocked with action, romance, historical content, family drama and serious statements about the creation of art." Richard Corliss of Time gave the film a positive review, saying "From the moment Remy enters, crashing, to the final happy fadeout, Ratatouille parades the brio and depth that set Pixar apart from and above other animation studios." Roger Ebert of the Chicago Sun-Times gave the film four out of four stars, saying "A lot of animated movies have inspired sequels, notably Shrek, but Brad Bird's Ratatouille is the first one that made me positively desire one." Peter Howell of the Toronto Star gave the film four out of four stars, saying "Had Bird gone the safe route, he would have robbed us of a great new cartoon figure in Remy, who like the rest of the film is rendered with animation that is at once fanciful and life-like. It's also my pick for Pixar's best." Joe Morgenstern of The Wall Street Journal gave the film a positive review, saying "The characters are irresistible, the animation is astonishing and the film, a fantasy version of a foodie rhapsody, sustains a level of joyous invention that hasn't been seen in family entertainment since The Incredibles." Kenneth Turan of the Los Angeles Times gave the film four-and-a-half stars out of five, saying "Brad Bird's Ratatouille is so audacious you have to fall in love with its unlikely hero." Claudia Puig of USA Today gave the film three-and-a-half stars out of four, saying "Ratatouille is delicious fun sure to be savored by audiences of all ages for its sumptuous visuals, clever wit and irresistibly inspiring tale." Miriam Di Nunzio of the Chicago Sun-Times gave the film three-and-a-half stars out of four, saying "Ratatouille will make you wonder why animation needs to hide behind the mantle of 'it's for children, but grownups will like it, too.' This one's for Mom and Dad, and yep, the kids will like it, too." Michael Booth of The Denver Post gave the film three-and-a-half stars out of four, saying "Writer and director Brad Bird keeps Ratatouille moving without resorting to the cute animal jokes or pop-culture wisecracking that ruined so many other recent animated films." Tom Long of The Detroit News gave the film an A, saying "Ratatouille has the technical genius, emotional core and storytelling audacity to lift it into the ranks of [the best] Pixar films, the crème de la crème of modern animation." Liam Lacey of The Globe and Mail gave the film three-and-a-half stars out of four, saying "No sketchy backgrounds here—Ratatouille's scenes feels like deep-focus camera shots. The textures, from the gleam of copper pans to the cobblestone streets, are almost palpable." Desson Thomson of The Washington Post gave the film a positive review, saying "Ratatouille doesn't center on the over-familiar surfaces of contemporary life. It harks back to Disney's older era, when cartoons seemed part of a more elegant world with less edgy characters." In its opening weekend in North America, Ratatouille opened in 3,940 theaters and debuted at number one with $47 million, the lowest Pixar opening since A Bug's Life. However, in France, where the film is set, the film broke the record for the biggest debut for an animated film. In the UK, the film debuted at number one with sales over £4 million. The film has grossed $206.4 million in the United States and Canada and a total of $620.7 million worldwide, making it the seventh-highest-grossing Pixar film. Ratatouille won the Academy Award for Best Animated Feature at the 80th Academy Awards and was nominated for four others: Best Original Score, Best Sound Editing, Best Sound Mixing, Best Original Screenplay, losing to Atonement, The Bourne Ultimatum (for both Best Sound Editing and Best Sound Mixing), and Juno, respectively. At the time, the film held the record for the greatest number of Oscar nominations for a computer animated feature film, breaking the previous record held by Monsters, Inc., Finding Nemo, and The Incredibles at four nominations, but tied with Aladdin for any animated film. In 2008, WALL-E surpassed that record with six nominations. As of 2013, Ratatouille is tied with Up and Toy Story 3 for animated film with the second-greatest number of Oscar nominations. Beauty and the Beast still holds the record for most Oscar nominations (also 6) for an animated feature film. Furthermore, Ratatouille was nominated for 13 Annie Awards including twice in the Best Animated Effects, where it lost to Surf's Up, and three times in the Best Voice Acting in an Animated Feature Production for Janeane Garofalo, Ian Holm, and Patton Oswalt, where Ian Holm won the award. It won the Best Animated Feature Award from multiple associations including the Chicago Film Critics, the National Board of Review, the Annie Awards, the Broadcast Film Critics, the British Academy of Film and Television (BAFTA), and the Golden Globes. If magazine described Ratatoing, a 2007 Brazilian computer graphics cartoon by Vídeo Brinquedo, as a "ripoff" of Ratatouille. Marco Aurélio Canônico of Folha de S.Paulo described Ratatoing as a derivative of Ratatouille. Canônico discussed whether lawsuits from Pixar would appear. The Brazilian Ministry of Culture posted Marco Aurélio Canônico's article on its website. In the end, Pixar reportedly did not seek legal action. The primary video game adaptation of the film, titled Ratatouille, was released for all major consoles and handhelds in 2007. A Nintendo DS exclusive game, titled Ratatouille: Food Frenzy, was released in October 2007. Ratatouille is also among the films represented in Kinect Rush: A Disney-Pixar Adventure, released in March 2012 for Xbox 360. The video game based on the movie was released in 2007 for Xbox 360, Wii, PlayStation 2, GameCube, Xbox, Game Boy Advance, Nintendo DS, PlayStation Portable, Microsoft Windows, Mac OS X, Java ME, and mobile phones. A PlayStation 3 version was released on October 23, 2007. The other versions, however were all released on June 26, 2007. Remy is featured in the video game Kingdom Hearts III. He appears as the head chef for Scrooge McDuck's bistro and participates with Sora in cooking minigames. He is addressed only as "Little Chef" in the game. A Disney theme park attraction based on the film has been constructed in Walt Disney Studios Park, Disneyland Paris. Ratatouille: L'Aventure Totalement Toquée de Rémy is based upon scenes from the film and uses trackless ride technology. In the attraction, riders "shrink down to the size of a rat". At the 2017 D23 Expo, Disney announced a similar, Ratatouille-based attraction would be built at the France Pavilion in Epcot's World Showcase by 2021. ^ Michael Cieply (April 24, 2007). "It's Not a Sequel, but It Might Seem Like One After the Ads". The New York Times. ^ "Ratatouille (2007)". Box Office Mojo. Amazon.com. Retrieved August 4, 2010. ^ "The 21st Century's 100 greatest films". BBC. August 23, 2016. Retrieved December 16, 2016. ^ a b Drew McWeeny (May 21, 2007). "Moriarty Visits Pixar To Chat With Brad Bird And Patton Oswalt About RATATOUILLE!". Ain't It Cool News. Retrieved May 21, 2007. ^ "Ratatouille, le film" (in French). Telemoustique. August 8, 2007. Archived from the original on December 11, 2007. Retrieved December 22, 2007. ^ Molly Moore and Corinne Gavard (August 14, 2007). "A Taste of Whimsy Wows the French". The Washington Post. Retrieved August 14, 2007. ^ a b c "Parlez-vous Francais". Yahoo!. May 22, 2007. Archived from the original on May 26, 2007. Retrieved May 23, 2007. ^ McCarthy, Fiona (August 10, 2009). "French super chef Hélène Darroze's secret Ingredient..." Daily Mail. London. Retrieved November 16, 2014. ^ Moore, Molly; Gavard, Corinne (August 14, 2007). "A Taste of Whimsy Wows the French". The Washington Post. Retrieved November 16, 2014. ^ "Ratatouille Script". Scribd. Retrieved October 14, 2018. ^ "Louis De Funès, Louis Jouvet, Charles De Gaulle... Le jour de gloire est arrivé. Et au diable les " freedom fries " !" (in French). Lesoir.be. August 1, 2007. Archived from the original on January 2, 2008. Retrieved December 22, 2007. ^ a b c Stacy Finz (June 28, 2007). "Bay Area flavors food tale: For its new film 'Ratatouille,' Pixar explored our obsession with cuisine". San Francisco Chronicle. Retrieved June 29, 2007. ^ Leo N. Holzer (June 29, 2007). "Pixar cooks up a story". The Reporter. Archived from the original on July 2, 2007. Retrieved June 29, 2007. ^ Price 2008, p. 249. ^ Steve Daly. "Brad Bird cooks up "Ratatouille"". Entertainment Weekly. Archived from the original on May 6, 2008. ^ a b c Bill Desowitz (April 25, 2007). "Brad Bird Offers an Early Taste of Ratatouille". Animation World Magazine. Retrieved May 22, 2007. ^ Jim Hill (June 28, 2007). "Why For did Disney struggle to come up with a marketing campaign for Pixar's latest picture? Because the Mouse wasn't originally supposed to release "Ratatouille"". Jim Hill Media. Retrieved July 1, 2007. ^ Germain, David (June 26, 2007). "Pixar Perfectionists Cook `Ratatouille'". The Washington Post. Retrieved January 15, 2008. ^ Price 2008, p. 250. ^ "Linguini a la Carte". Yahoo!. May 22, 2007. Archived from the original on May 26, 2007. Retrieved May 23, 2007. ^ Helen O'Hara (June 28, 2007). "First Look: Ratatouille". Empire. p. 62. ^ a b Scott Collura & Eric Moro (April 25, 2007). "Edit Bay Visit: Ratatouille". IGN. Archived from the original on November 9, 2009. Retrieved May 22, 2007. ^ "The Technical Ingredients". Disney Pictures. Retrieved May 23, 2007. ^ "Cooking 101". Disney Pictures. Retrieved May 23, 2007. ^ Kim Severson (June 13, 2007). "A Rat With a Whisk and a Dream". The New York Times. Retrieved June 30, 2007. ^ a b Anne Neumann (April 25, 2007). "Ratatouille Edit Bay Visit!". Comingsoon.net. Retrieved May 21, 2007. ^ "Cooking Up CG Food". Comingsoon.net. May 24, 2007. Archived from the original on May 26, 2007. Retrieved May 24, 2007. ^ Michel Gagné. "Taste Visualization for Pixar's Ratatouille". Gagne International. Retrieved July 9, 2007. ^ "Ratatouille (review)". Radio Free Entertainment. Retrieved July 1, 2007. ^ Barbara Robertson. "Fish, Rats, Chefs and Robots". CGSociety. Archived from the original on August 8, 2007. Retrieved July 7, 2007. ^ Bruce R. Miller (June 30, 2007). "Book shows how 'Ratatouille' was made". Sioux City Journal. Retrieved June 30, 2007. ^ Cynthia Hubert (June 22, 2007). "Rat fanciers hope animated film will help their pets shed bad PR". Sacramento Bee. ^ "Ratatouille Concept Art and Fun Facts!". CanMag. June 16, 2007. Retrieved July 8, 2011. ^ Desowitz, Bill (July 3, 2007). "Intel Helps Disney/Pixar Cook Up Ratatouille". Animation World Network. Retrieved October 6, 2015. ^ Desowitz, Bill (June 29, 2007). "Ratatouille Pixar Style: Bon Appétit". Animation World Network. Archived from the original on October 12, 2013. Retrieved October 6, 2015. ^ James Christopher Monger (June 26, 2007). "Ratatouille [Original Soundtrack] – Michael Giacchino | Songs, Reviews, Credits, Awards". AllMusic. Retrieved February 5, 2014. ^ "Empire's Ratatouille Soundtrack Review". Empire. Archived from the original on February 22, 2014. Retrieved February 5, 2014. ^ Andrew Granade (June 25, 2007). "Ratatouille (2007)". Soundtrack. Retrieved February 5, 2014. ^ a b "Michael Giacchino Talks The Music Of Pixar [D23 Expo] | /Film". Slashfilm.com. September 2, 2011. Retrieved February 5, 2014. ^ "Pixar-Disney delay Cars release". BBC News. December 8, 2004. ^ D'Alessandro, Anthony (June 25, 2007). "Audiences in on 'Ratatouille' pack". Variety. Retrieved December 22, 2007. ^ Eric Vespe (June 9, 2007). "Quint orders a giant plate of RATATOUILLE and eats it up!!!". Ain't It Cool News. Retrieved June 10, 2007. ^ "Report from Pixar Screening of Ratatouille — Upcoming Pixar". Pixarplanet.com. Retrieved October 5, 2013. ^ Koch, Dave (March 18, 2014). "Incredibles Animated Sequel". Big Cartoon News. Archived from the original on March 19, 2014. Retrieved March 18, 2014. ^ "'Ratatouille' Theatrical Trailer". Yahoo!. April 15, 2013. Retrieved October 5, 2013. ^ "New Ratatouille Trailer Coming Friday". Comingsoon.net. March 19, 2007. Retrieved March 19, 2007. ^ Desowitz, Bill (May 11, 2007). "Ratatouille to Kick Off With 'Big Cheese Tour'". Animation World Network. Retrieved August 7, 2016. ^ "Ratatouille Big Cheese Slide With Lou Romano". JustPressPlay.net. July 16, 2007. Archived from the original on September 26, 2007. Retrieved July 17, 2007. ^ Lifster, Marc (July 28, 2007). "Disney backs out of wine promotion". Los Angeles Times. Retrieved August 1, 2007. ^ "RATATOUILLE'S Remy fights movie piracy". The Film Factory. Retrieved December 23, 2007. ^ "Nissan Note Exploding Cars It's Possible". Visit4Info. Retrieved December 23, 2007. ^ Eggert, Brian (June 29, 2007). "Ratatouille review". DeepFocusReview.com. Retrieved October 15, 2007. ^ Graser, Marc (June 15, 2007). "Pixar hopes auds find 'Ratatouille' tasty". Variety. Retrieved October 15, 2007. ^ "Disney Serves Up 'Ratatouille' on Blu-ray this November". High Def Digest. August 10, 2007. Retrieved August 20, 2007. ^ Patrick Lee (October 30, 2007). "Rat DVD Has First Pixar 2-D Toon". Sci Fi Wire. Archived from the original on December 30, 2007. Retrieved October 30, 2007. ^ "First Lifted Review — Upcoming Pixar". Pixarplanet.com. Retrieved February 5, 2014. ^ "Ratatouille Blu-ray". Blu-ray.com. Retrieved February 5, 2014. ^ "Top-Selling DVDs of 2007". the-numbers.com. Retrieved January 11, 2011. ^ "All-Time High Scores: The Best-Reviewed Movies". Metacritic. Archived from the original on June 9, 2008. Retrieved March 17, 2008. ^ "Pixar Animation Studios' Scores". Metacritic. Retrieved January 26, 2016. ^ "Best Movies of All Time". Metacritic. Retrieved March 25, 2016. ^ Scott, A. O. (June 29, 2007). "Voilà! A Rat for All Seasonings". The New York Times. Retrieved January 15, 2008. ^ Wally Hammond (October 8, 2007). "Ratatouille". Time Out. Retrieved October 6, 2015. ^ a b c d e f g h i "Ratatouille Reviews". Rotten Tomatoes. Retrieved February 5, 2014. ^ Gleiberman, Owen (July 6, 2007). "Ratatouille". Entertainment Weekly. Retrieved February 5, 2014. ^ "Reelviews Movie Reviews". Reelviews.net. June 29, 2007. Retrieved February 5, 2014. ^ Justin Chang Chief Film Critic @JustinCChang (June 18, 2007). "Ratatouille". Variety. Retrieved February 5, 2014. ^ Phillips, Michael. "Metromix. Movie review: 'Ratatouille'". Web.archive.org. Archived from the original on July 15, 2007. Retrieved February 5, 2014. ^ Moore, Roger (June 29, 2007). "Rats: You can't carry a 'toon by blathering on about food". Orlando Sentinel. Archived from the original on February 6, 2014. Retrieved February 6, 2014. ^ Olsen, Mark. "Ratatouille: Rat Can Cook". Retrieved October 6, 2015. ^ Rea, Steven (June 29, 2007). "You'll smell a ... terrific 'toon, starring a rat". The Philadelphia Inquirer. Retrieved October 6, 2015. ^ "Movie: Ratatouille". December 1, 2007. Archived from the original on June 23, 2007. Retrieved February 5, 2014. ^ "A rat to catch!". Daily News. New York. June 29, 2007. Retrieved February 5, 2014. ^ Ansen, David (June 28, 2007). "Ansen on 'Ratatouille'". Newsweek. Retrieved February 5, 2014. ^ Peter Hartlaub, Chronicle Pop Culture Critic (June 28, 2007). ""Ratatouille" is a feast for the eyes". San Francisco Chronicle. Retrieved February 5, 2014. ^ Corliss, Richard (June 7, 2007). "Savoring Pixar's Ratatouille". TIME. Retrieved February 5, 2014. ^ Ebert, Roger (August 30, 2007). "Ratatouille Movie Review & Film Summary (2007)". Roger Ebert. Retrieved February 5, 2014. ^ "Feast your eyes". Toronto Star. June 29, 2007. Retrieved February 5, 2014. ^ Morgenstern, Joe (June 29, 2007). "Pixar Cooks With Joy, Inventiveness In 'Ratatouille'". The Wall Street Journal. Retrieved February 5, 2014. ^ Turan, Kenneth (June 29, 2007). "This is no dirty rat ". Los Angeles Times. Retrieved February 5, 2014. ^ "A vermin in Paris finds his inner foodie". Chicago Sun-Times. Web.archive.org. June 29, 2007. Archived from the original on July 1, 2007. Retrieved February 5, 2014. ^ Booth, Michael (June 28, 2007). "Oui! A rich foodie treat, with a great view". The Denver Post. Retrieved February 5, 2014. ^ Thomson, Desson (June 29, 2007). "'Ratatouille': A Classic Recipe". The Washington Post. Retrieved February 5, 2014. ^ Pamela McClintock (July 1, 2007). "Audiences chow down on "Ratatouille"". Variety. ^ "Ratatouille Breaks French Record". Starpulse. Retrieved August 13, 2007. ^ "UK Film Box Office: Oct. 12 – Oct. 14". UK Film Council. Archived from the original on November 2, 2007. Retrieved December 22, 2007. ^ "Pixar Box Office History". The Numbers. Retrieved July 31, 2010. ^ "Winners and Nominees – 80th Academy Awards". Academy of Motion Picture Arts and Sciences. January 6, 2009. Archived from the original on October 12, 2013. Retrieved January 6, 2009. ^ a b "Nominees & Winners of the 2008 (80th) Academy Awards | Academy of Motion Picture Arts & Sciences". Academy of Motion Picture Arts and Sciences. August 24, 2012. Archived from the original on October 12, 2013. Retrieved October 5, 2013. ^ a b "Annie Awards 2007 nominations". International Animated Film Association. Archived from the original on December 4, 2008. Retrieved March 9, 2009. ^ "Chicago Film Critics Awards – 1998-07". Chicago Film Critics Association. Retrieved March 9, 2009. ^ "Awards for 2007". National Board of Review. Archived from the original on December 11, 2007. Retrieved March 9, 2009. ^ "The 13th Critics Choice Awards winners and nominees". Broadcast Film Critics Association. Archived from the original on May 30, 2012. Retrieved March 10, 2009. ^ "Hollywood Foreign Press Association 2008 Golden Globe Awards for the year ended December 31, 2007". HFPA. December 13, 2007. Archived from the original on December 15, 2007. Retrieved December 22, 2007. ^ Narcisse, Evan (December 8, 2011). "Pixar Teams Up With Microsoft For Kinect Rush". Kotaku. Retrieved December 9, 2011. ^ "Disney/Pixar Ratatouille". Metacritic. Retrieved February 6, 2019. ^ Frank, Allegra (June 11, 2018). "Kingdom Hearts 3 trailer features a new, lovable Pixar character". Polygon. Vox Media, Inc. Retrieved January 25, 2019. ^ "Ratatouille: The Adventure – L'Aventure Totalement Toquée de Remy". DLP Today. Retrieved October 9, 2014. ^ Barnes, Brooks (July 15, 2017). "Disney Vows to Give Epcot a Magical, Long-Overdue Makeover". The New York Times. Retrieved July 16, 2017. Price, David (2008). The Pixar Touch: The Making of a Company. New York: Alfred A. Knopf. ISBN 978-0-307-26575-3. Wikimedia Commons has media related to Ratatouille (film). This page was last edited on 25 April 2019, at 01:02 (UTC).